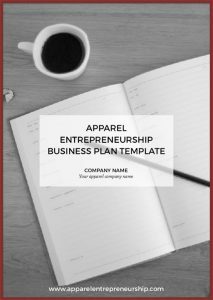 Being an entrepreneur and running your own apparel business means there is always something to work on. No matter how much you work, you are never really done. At the same time there could be other things in your life that you want or need to do. Maybe you have a family that you want to spend time with or maybe you just have to catch the morning surf. The stress level is different from person to person. Don’t leave the day-to-day work-life balance to chance. Plan on living a balanced life with some tips below. Make a habit of writing down things you need to do. If you are using a software like Asana you can note it down as soon as the idea comes up. If not, end the day by noting down the tasks you need to address the following day. Having a list with all the things needed to be done makes it easy for you to prioritize the work and plan how to move forward. A positive effect of having a to do list, containing all your tasks, is that it relaxes you both when you are working and when you are not. You don’t have to constantly think about what you need to do or what should have done. Have you missed anything? You know it is all on the list. You don’t have to think about it when you are doing other things, and it will be there in front of you when you are ready to attack it. You will probably have more tasks on your list than you can handle at the moment. This leaves you to prioritize your work. Is a task depending on another task? Make sure you address that other task first then. There may be some fun tasks and some less fun ones. The important thing is to ask yourself what effect on your business they are going to have? Prioritize accordingly. Do things that matters, that have an impact, and where you advance. It is not about how much time you spend working. It is about what you actually do and how efficient you are. You don’t have to do it all by yourself. There could even be someone better than you for that task. You can’t be really efficient trying to do it all. Maybe you are a control freak and don’t like letting someone else do it for you. Let the 80 % rule guide you. If you think someone else can do it 80 % as good as you, let them do it. Put all your attention and energy into what you currently are working on. Don’t look at your email or start doing other things at the same time. No one can do two things well simultaneously. You may be good at alternating between different tasks, but you are not actually doing them at the same time. A track coach once gave valuable advice. He said there is no need to be nervous and tense long before a race. That will only drain the energy, leaving you exhausted when the race starts. At the same time, when there is a race you shouldn’t go around thinking of your practice or things you are doing afterwards. You need to put all the attention and focus on the current race. He said to imagine you had a built-in on and off switch. Don’t worry about the running race before it starts, but when it is time you push the on switch for full attention. The lesson is to fully focus on what you are doing. It makes it much better in all senses. There will always be a lot of things to do. As an entrepreneur you will never be done, but there is more you can do and things you can improve. But keep calm and don’t stress about it. Accept that it is that way. The more productive work you put in, the quicker and better you advance. But at the same time, it is a waste if you can’t sustain it in the long run. Don’t fool yourself and think that is only a lot on your plate at the moment and that it will be less up ahead. No, you have to find a good work balance where you think it is fun and enjoyable at the same time as you are advancing. Do you find it difficult to let go of work? Why don’t you schedule free time? Just as you plan for a meeting, you can put in your calendar when it is time for something else. Tuesday, 11-12 am: Bike Ride. One of the advantages of running your own business is that you get to work with what you love. You are supposed to have fun and enjoy what you are doing. 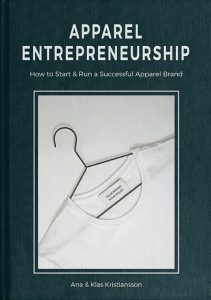 Even when you have your own brand, there can be tasks that are not that fun to do. Then make them fun. Find ways of making the tasks more enjoyable. It can be as simple as choosing a new location for the day, borrowing your friend’s dog to accompany you in the studio, buying nice pencils and notebooks, or putting on an inspirational podcast. You are in the game for the long run so make sure you can handle it. Ensure that you sleep well, eat healthy and exercise. Everything goes hand in hand. You can’t be lazy when it comes to your health and still have the energy to perform at work. Take a look at Arianna Huffington’s TED talk about the importance of sleep. When it comes to food, read up and do what you think is best for you and your believes. And working a lot is not a good excuse for not exercising. There is always a chance to squeeze in some exercise. Take the bike to work, do some push-ups, run at lunch, take a walking meeting etc. You’ll feel stronger and energized. So decide how you want your life to be. Take control over your situation and implement a strategy that makes you sustain it over the long run. You want to keep doing what you love.